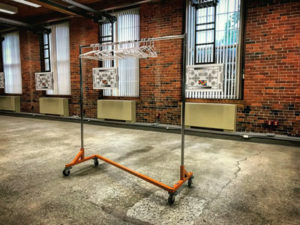 At Rule Boston Camera we have always listened to the needs of our clients, and we take very seriously our role as being the center of production in New England. As technology changes and the equipment needs of our clients evolves, so, too, does our equipment inventory. 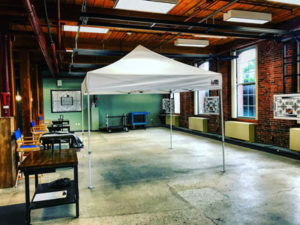 In addition to the latest and greatest cameras, lenses and accessories, over the years we have been asked to supply the staples that are essential to production life: tables, chairs, pop-up tents, wardrobe racks, safety cones, etc. 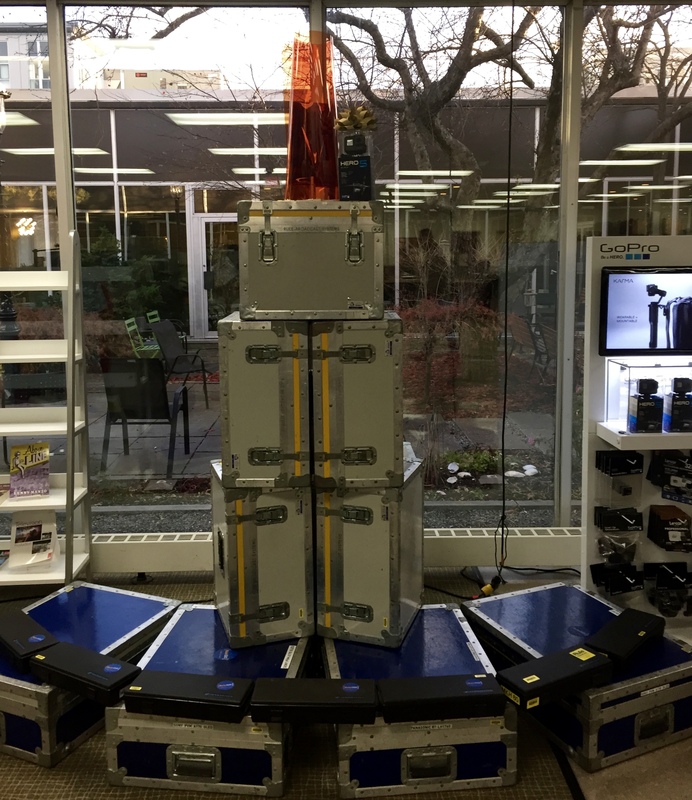 These Production Supplies often take a back seat to our more glamorous rental items — but, try eating your lunch on top of an ARRI Mini or hanging the talent’s wardrobe from a MOVI Pro and this will help you realize just how essential these production items can be. We are constantly on the lookout for equipment that satisfies the next level of production need, and with this in mind, we always welcome your requests. We can generally acquire what you need within a very short turnaround, just reach out to any of our rental agents with your requests. In addition to rental items, Production Outfitters carries a large line of production expendables for purchase — from our very popular gel by the foot, to camera tape and spring clamps, we have most things to get your production started off right. 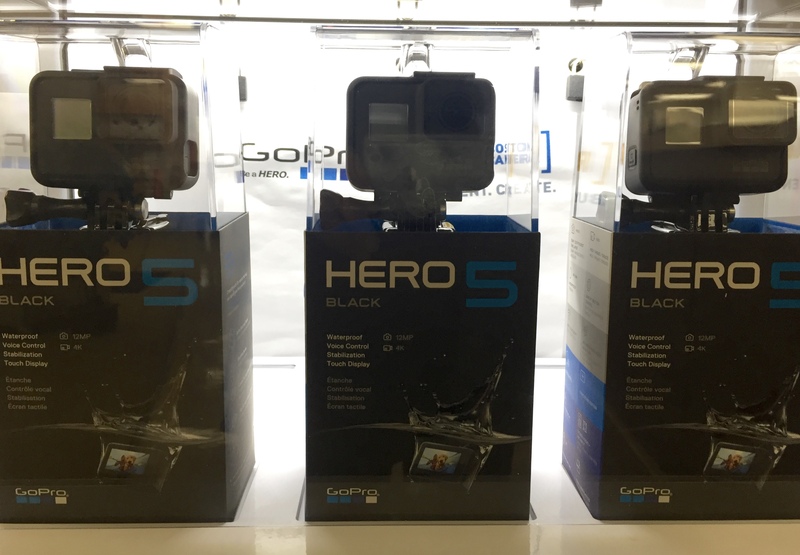 Stop by our GoPro display in Production Outfitters! We are selling (and renting) the all new GoPro HERO6 camera. Retailing for $499.99, the HERO6 Black is compatible with all GoPro mounting accessories. 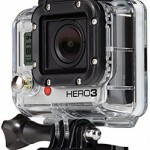 This new addition to the GoPro family boasts real image stabilization and an all new GP1 processor. The Hero6 is capable of 240fps at 1080p image quality or 4k up to 60fps making it ideal for slow-mo action. Click here to watch #GoProHERO6 action. Contact us for more details: answers@rule.com or 800-rule-com. Each week through mid-December, I’ll pick a gift option for the technically-inclined on your holiday gift lists. This week, my first pick is the GoPro HERO 5, available in our Production Outfitters expendables store. 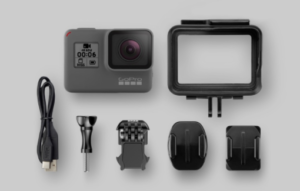 The HERO 5 is the next exciting step for GoPro’s product line, and it comes with some great upgrades from the HERO 4 Black. First and foremost, it’s waterproof without a housing (up to 33ft). With some new Video Stabilization and some RAW Photo capability the Hero 5 is starting to add some additional support to their already feature packed product line. GoPro is still the name of the game when it comes to action sports cameras and the HERO 5 continues that tradition. Take a look on our giant “holiday candle” for next week’s pick. Get in touch with any questions. Thanks. 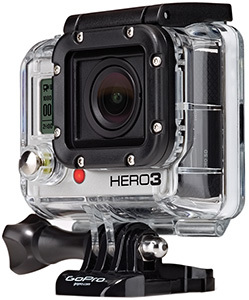 We upgraded our GoPro Hero3 cameras to new firmware v.3.0 recently. I tested the cameras with new iOS GoPro application (v.2.0). It offers live preview now (while recording), which works quite well. The control of camera settings also works very well. The availability of web browsing is only available when switched to Internet access mode (not controlling the camera). New features do not always work, as promised, yet! Playback from camera, on iPad 3 works sporadically, sometimes stalling on “Loading images” screen. But when it works, it is spectacular! It makes the file transfer from card to iPad and further distributing it, very easy. Boston’s film community is a growing community, and there is no greater partner to that growth than Rule Boston Camera. Inherent in the company is a drive and motivation to supply the film and video community with the latest and greatest — not only in cameras and support but with an eye on covering all of the bases of production equipment needs. Enter Production Outfitters, Rule Boston Camera’s resource for production and expendable needs. At Production Outfitters–as a convenience to our customers–we strive to provide all of the little tools and supplies that might otherwise be overlooked. Ranging from gaff and camera tape to gels, Assistant Camera equipment, Hard Drives and memory cards for the latest digital cameras, Production Outfitters aims to be an expanding resource to our customers and to the ever-growing local industry. If you have any suggestions on what’s hot or new in the industry, call or email me and I’ll work to make these options available to you. Help us to help the Boston film community keep growing and shooting! Nick Giannino, Production Outfitters Store and Rental Agent giannino@rule.com. New Rule Boston Camera T-shirts! Productions Outfitters just received some new swag! Now available — sleek black hats and custom printed Wiha tool kits. The tool kits are an AC’s dream, with 30 different wrenches and screwdrivers, conveniently packed in a small Velcro kit. We also carry a variety of other grip and camera pouches that easily strap onto your belt for easy accessibility! Stop by and check it out!